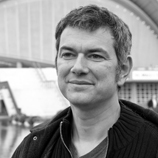 Curator, dramaturg, writer, André Lepecki is Associate Professor in Performance Studies at New York University. He graduated in cultural anthropology at the New University of Lisbon and obtained his masters and doctoral degree in Performance Studies at New York University. In the 1980s he was dramaturg for choreographers Vera Mantero and João Fiadeiro, in the 1990s for Meg Stuart and Damaged Goods. He co-directed with Bruce Mau the video-installation STRESS (MAK, Wien,2000), and with Rachael Swain the video-installation proXy (Performance Space, Sydney, 2003). With Eleonora Fabião he co-created the performance series Wording (2004-06). He co-curated with Stephanie Rosenthal and directed the first authorized remaking of Allan Kaprow‘s 18 Happenings in 6 Acts, for Haus der Kunst, Munich, and PERFORMA 07, NY. He has curated events for Haus der Kulturen der Welt, and Tanz im August. Since 2008 he is a Permanent Fellow at Haus der Kulturen der Welt, Berlin. What still resonates, and organizes for me the memory of the entire piece, is the sentence, pronounced quite early on, stating that one of the muezzin’s would only join the others on stage "later…" This announced delay, this procrastinated entering suggests already a kind of separation between those present on stage since the beginning and the belated one, and dramaturgically produces a sense of anticipation clouded by a question: "Why will he come only later?"